Elam, Harry, and Jackson, Kennell. Ed. Black Cultural Traffic. The University of Michigan Press, 2005. Print. Fab 5 Freddy. "Rebel Music." 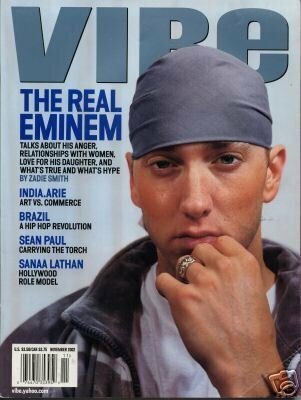 Vibe Nov. 2002: 129-38. Print. McGowan, Chris, and Ricardo Pessanha. The Brazilian Sound. Revised and Expanded Edition. Philadelphia: Temple University Press, 2009. 228-229. Print. Meade, Teresa. A Brief History of Brazil. New York: Facts On File, Inc., 2003. 186-87. Print. 673-709. The George Washington University Institute for Ethnographic Research. Print. Pardue, Derek. "Putting Mano to Music: The Mediation of Race in Brazilian Rap." Ethnomusicology Forum 13.2 (2004): 253-286. Taylor & Francis, Ltd. on behalf of the British Forum for Ethnomusicology. Print. Perlman, Janice E. Favela: Four Decades of Living on the Edge in Rio De Janeiro. Oxford: Oxford UP, 2010. Print.